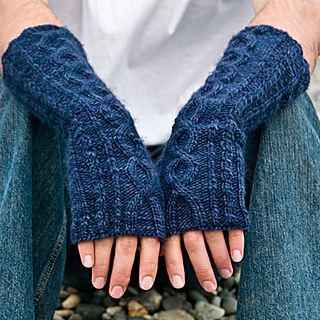 Arden is unisex elbow-length hand-warmer that uses a single skein of Malabrigo Worsted. 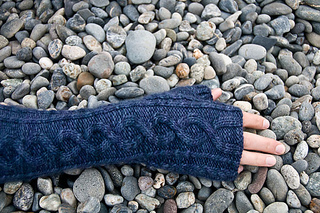 One large cable is accented by single ribbing and smaller twisted cables, which can be easily knit without a cable needle, making Arden a fast, engaging project. Arden is available in two sizes, a smaller size to fit an average woman’s hand and a larger size to fit an average man’s hand; the smaller size has a hand circumference of 7” and the larger size has a hand circumference of 7.5”. 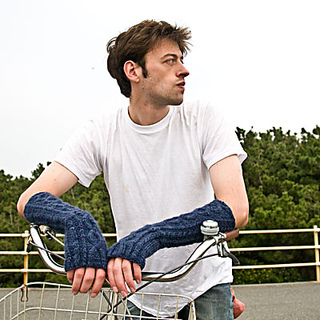 Both sizes of hand-warmer measures 7” around the arm, and are 15”/ 38 cm long when lying flat and un-stretched. 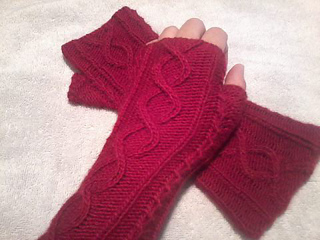 If you have small hands, you may prefer working at a tighter gauge by going down a needle size and/or using a lighter worsted weight yarn to ensure a closer fit. 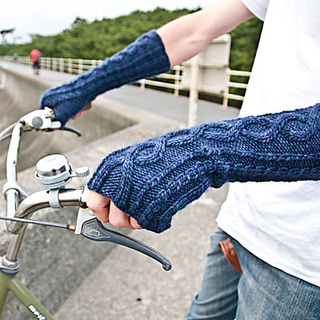 These mitts are elbow length, but it’s very easy to shorten them if that’s too long for you - some test knitters left off one repeat of the cable pattern for shorter mittens. This pattern has been test-knit in both sizes (thank you thank you thank you again to all of my awesome test knitters! ); please PM me if you have any questions!